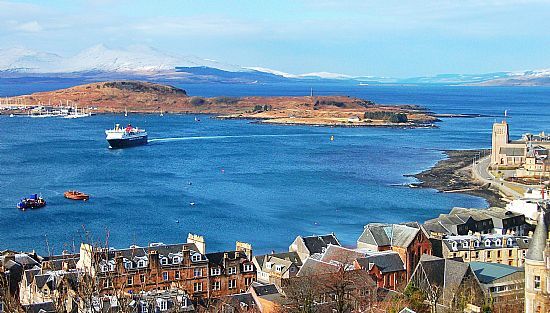 Oban, meaning “little bay” in gaelic, is often described as the “Gateway to the Highlands and islands of Scotland”. It is surrounded by some of the most scenic and unspoilt areas of western Europe and is steeped in history and folklore. 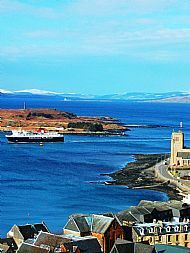 Oban is a thriving tourist town serving the island of Mull, Iona, Barra, Lismore and many other little islands on the West coast of Scotland. 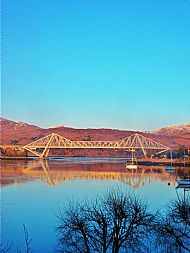 This bustling sea side town is the main market place and fishing port for the surrounding area of Argyll. 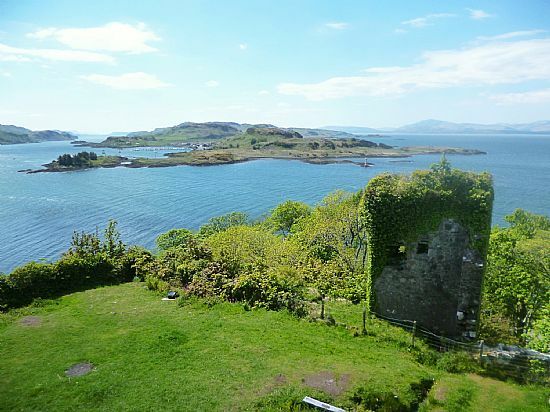 There are many things to see and do in and around Oban McCaigs tower, a large and attractive folly overlooking the town with superb views, the Classic Oban malt distillery , Oban war and peace museum and Oban chocolate Company. The Dunollie museum Castle and Grounds. Just outside the town you can visit the Cruachan power station housed inside a mountain and the Sealife Centre or visit one of the many castles and gardens in the area. Take a Caledonian MacBrayne ferry to Mull , Iona and Staffa, see the rugged beauty of Glencoe, or drive over the only bridge over the Atlantic towards Easdale and the slate museum. Shooting and fishing can be arranged by the local fishing tackle shop. There is an 18 hole golf course , only a 2 minutes walk from Strathnaver, visit the local leisure centre with swimming pool, sauna and fitness suites, tennis and squash courts and nearby bowling green. Hire a bike, try some gliding a few miles out of town at Connel and if you have a head for heights bag a munro ( climb a Scottish mountain over 3000 feet) or try your hand at mountain biking, sailing, canoeing or diving to one of the many shipwrecks off the west coast. There are many excellent restaurants and cafes and if you feel like some night entertainment you can visit one of the pubs and bars where you will find live music to suit all tastes including a traditional Scottish night at Skipinnish. If you require more information please call. To book at Strathnaver Guest House call us on 01631 563305. Caladonian MacBrayne run regular ferries to many of the islands around Oban. McCaigs Tower, a destinctive sight in the Oban skyline.